Since 1980, Tim Hmelar has brought his enthusiasm for life and construction to every client he works with. Tim’s kitchen and bath remodeling clients expect quality and excellence with their projects and Tim Delivers! Every kitchen and bath remodel is designed and built using quality products and materials and is installed by expert tradesman using the most demanding levels of craftsmanship. Our Company Philosophy || Making your kitchen or bath remodel dream come true is our passion. The starting point of our process is getting a crystal clear understanding of your project, putting the design to paper and coming up with an itemized budget for your project. Don’t worry if you’re not sure of exactly what you want or if you have more than one option your thinking of building; we’re happy to draw different plans and crunch numbers for your different proposed projects. We want you to feel comfortable that we are listening to you and that your project meets both your design goals and is in your budget. Our Work Speaks for Itself || Having been raised that “if you’re going to do something, do it right” we don’t settle for anything less than excellence and quality in our workmanship. With many raving fans on Yelp, newspaper articles about Tim Hmelar and even a project in Architectural Digest – Tim Hmelar believes in offering construction services second to none. Spend some time with Tim or talk to one of his previous clients and you’ll see what we mean. 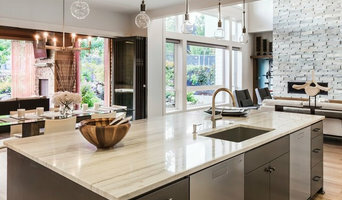 Full service Kitchen and Bathroom Remodeler with a showroom in Beautiful Downtown Pleasanton. Visit our showroom and let us help you find the right products for your needs. At AKT HOME BUILDERS we want to create the home that you have always dreamed of. With the best quality products and services AKT HOME BUILDERS works closely with our customers during the whole process to thoroughly manage projects. We will guide you through all phases of the project from initial design and planning permissions to finalized detailed design and on-site execution. This idea of providing in-depth and comprehensive service to our customers is what has driven our work; It is the sole purpose for setting our standards high and building a quality home with quality components. Our team at AKT HOME BUILDERS uses reliable building materials and implements a building process that features a number of checkpoints and inspections. We offer choices from the most trusted brands in the home-building industry so that you can take pride in every detail of your new home, inside and out. We also offer a 5-year limited warranty to give you peace of mind because we're not satisfied until you feel that your experience has been the best. It is all part of our everyday commitment at AKT HOME BUILDERS to provide you with high quality home renovations and outstanding customer service. For more than 25 years, Sosa Granite & Marble has provided natural stonework for a wide range of residential and commercial clients. During that time, the Sosa family has built a stellar reputation based on dedication to produce excellent service. We are DETAILED oriented expert craftsmen with over 30 years in the construction industry. Specializing in home interior finish work. Tile is our Passion. We are ALEGRIA CREATIONS, committed to work daily until work is done and give you personalized customer service to realize your vision. Simple Living Fine Remodeling is a full-service residential, eco - friendly construction, and interior design company. 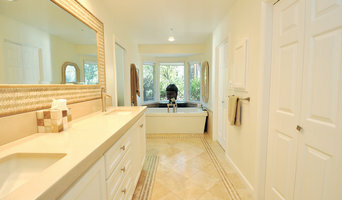 We create beautiful, unique and affordable remodeling projects throughout the bay area. We are truly excited and passionate about working with our clients every step of the way, communicating, designing, creating beauty in every house that we are in. We are committed to excellence. Your happiness is our most important goal, which we work very hard for. We have a Design Care Coordinator who will come in and help you choose everything as a part of the cost of your project. We will ask you to share your budget information and we will make a great effort to work within those parameters and include your entire wish list into the project. We have a five-dimensional program that we use to show you what your project may look like upon completion. This eliminates speculation and helps you actually see the future room. Your project is not all about the money for us. It's about making a difference. We are a great team of caring individuals that’s objective is to take care of our clients. We manufacture Cultured Marble, Onyx, Granitex, and Storm. Family owned and operated since 1979, Tri-City Marble has just what your bathroom needs, at prices you can afford and the service you would expect from a family friend. We strive to provide you with the best quality material possible. Quality is important to us. Our products have been tested by one of the nation’s largest independent testing laboratories. Tri-City Marble is listed with the IAPMO Association and the Better Business Bureau. We also hold a general contractors license with the state of California, which makes us able to help you with your bathroom remodeling needs from start to finish. As our customer, your satisfaction is very important to us. We will try to make your product as close to perfect as possible. We are self- assured in knowing that our company will provide you with excellent installation and friendly service. Hello, I'm Terri Harris and I'm the president and founder of She Can 2. We are a remodel/repair/design home improvement company. Our services range from fixing that loose towel bar in the hall bath to adding on a new master bedroom suite. We also do rental property maintenance and commercial tenant improvements. We are in the business of seeing your project through your eyes. By listening to your ideas and understanding your budget and time allowances, we're able to better understand how we can help. And to do it at a price that benefits both of us. Patrick and Mari Giblin started Wall St. in 1988 manufacturing wall system furniture. Like any other successful business, it evolved into a full service design and manufacturing service noted for its artistic quality kitchens, innovative media rooms, efficient business environments, functional school furniture, beauty salon setups, and our latest edition of "no-tools" easy setup grocery store racks. I started Vic's Tile to help customers in fulfilling their dreams and making homes special, while increasing the value of homes at the same time. I specialize in bathrooms, kitchens and custom fireplace-mantels. When in doubt, Just Tile It! 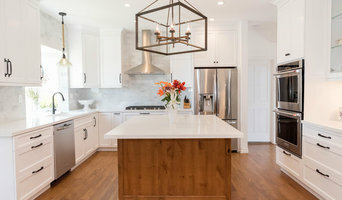 Custom Kitchens by Miles Burke is a Design/Build remodeling company specializing in creating quality kitchens, bathrooms and residential remodeling. We are located in Sonoma County, California. It's not about us, it's about YOU! Catchy, maybe. But this is not a catch phrase. This is our company in a nutshell. Because as Don says, “When life is no longer all about me, good things come to me. It’s like a universal principle. When it’s about the other, whether co-worker or client, they feel it and naturally reciprocate in kind.” It is this philosophy that had given us an enormous referral business. We understand our clients because we care about our clients. It’s that simple. Don has made his company employee-owned so everyone involved can feel what it's really like to put the customer first. When everyone has a stake in the outcome of a customer's project, it's always about more than just the money. We want our customers to be happy. We want our customers to enjoy the experience. It's the reason we have hundreds of local references. Armstrong Interior Specialties is the original ONE STOP REMODEL SHOP! We have over 30 years of experience and we love what we do. We sell and install all types of flooring including tile, laminate, hardwood, bamboo, cork and carpet. Additionally we build custom cabinets, bars, bookshelves, offices and so much more. We offer services for both residential and commercial properties.